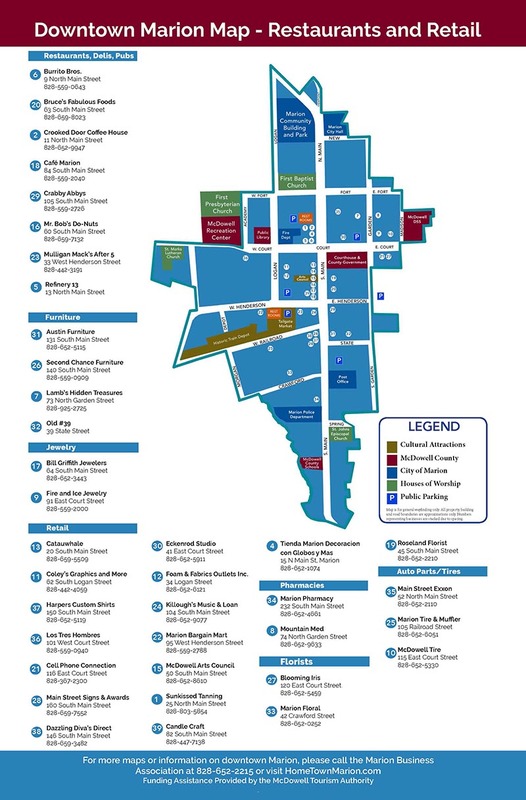 This project was to develop a retail map for downtown Marion, North Carolina. The project was sponsored by the Marion Business Association and the McDowell Tourism Authority – http://blueridgetravelers.com. Local web design, marketing and photography service to Marion, Old Fort, Linville Falls, Lake James, Nebo, Little Switzerland, Black Mountain, Morganton, Hickory and Asheville, North Carolina.